SEO (Search Engine Optimization) vs PPC (Pay Per Click) – What’s Right for My Business? You just built a beautiful website for your business. Now, how do you get anyone to actually find it? This is probably the most common question I get asked by friends and clients and, while there are many more great ways to drive traffic to your site, usually the initial question I get asked comes down to focusing efforts on search engine marketing through either search engine optimization (SEO) or pay per click (PPC). Search engine optimization is the process of attempting to get your website to show up towards the top of the organic (aka FREE) search results on Google and other search engines for a variety of keywords related to your business. For example, if you sell athletic shoes, you’d be in pretty great shape if your website showed up in the top few results when someone searched for “running shoes” or “Nike shoes.” You cannot pay to influence where you appear in these results and best of all, every click your website receives costs you absolutely zip. Pay per click in the context of search engine marketing refers to the sponsored results that appear on the top and side of search result pages (SERPS) as well as on other websites that display targeted ads served by the search engine. For example, if someone created a blog talking about the latest and greatest running shoes, perhaps they would choose to allow Google to display ads on their website related to running shoes in exchange for a share of the revenue generated from the ads. With PPC search engine marketing, you have the ability to pay to show up in the search results, or on these targeted third party websites. More on how to determine how much this costs and where you appear later. Both search engine marketing strategies strategies require an investment of time, especially initially. Both require you to identify the types of keywords that your customers would be seeking. As a side-note, you’ll want to focus on “long-tail keywords” which are more specific, niche phrases because they will generally be easier to achieve rankings for in SEO and less costly for PPC. For example, don’t expect to get the #1 ranking on Google for the word “marketing software” and furthermore, bidding on the word “marketing software” is not only going to likely be expensive, but generate an enormous amount of less-than-ideally targeted paid clicks that will burn through your budget and likely not convert well for you. Tools like Google’s Keyword Planner can help you identify keywords and estimate costs. After you identify some good keywords to focus on, you’ll have to incorporate these into the pages of your site for SEO, or build a structured, scalable PPC campaign to target these keywords. (More on creating efficient, manageable campaigns in a future post.) Note – if you’ve already built your website before considering a SEO strategy, you’re already late to the dance! Take the time now to go back and ensure your existing pages are optimized for keyword-rich content. Once you have a core, keyword-dense site up and/or a basic PPC campaign built, both strategies require some ongoing time commitment. This is generally greater for SEO if you want to increase your likelihood of achieving good rankings. There are numerous methods and tactics to utilize to bolster your organic rankings that require their own posts to describe in detail, but generally one of the fundamental and most effective is the continued creation of unique relevant content within your site. This may include such things as a dedicated blog or other informational content pages such as how-to articles, announcements, additional product or service detail pages, and even videos. Creating this content regularly helps establish your site as a leader in the field and can improve how the search engines deem the importance and relevance of your site. (Additionally, this content is great for “inbound marketing” which I will elaborate on in another post.) Creating this content can be time consuming and you can determine how frequently you’re prepared to do it, but try and stay on a consistent schedule whether it’s a couple times a month or more so you don’t lose momentum. PPC does require monitoring to identify what is and is not working well for you and to optimize your ROI. However, very basic, small campaigns don’t typically require a large ongoing time commitment to make incremental tweaks here and there. Time should also be considered in the context of how urgently you need to start generating traffic. Many businesses want and need to start driving awareness of their site immediately. SEO is a long-term strategy. Top rankings may take a significant amount of time to develop and are not guaranteed, especially for keywords that drive significant traffic. PPC can be up and running almost immediately and you can jump right to the top if you’re willing to pay for the privilege. 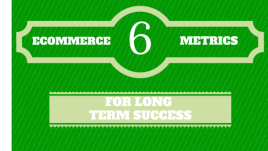 In the long-term, however, SEO can be an excellent investment. These links continue working for you indefinitely, sending you free traffic. In analyzing our sources of revenue at my companies, I would constantly find very old pages still generating traffic and sales. PPC on the other hand is like a faucet. You simply turn it on or off, depending on your budget and ROI criteria. If you are developing and executing your SEO strategy yourself, your primary investment is time. Time to learn the search engine optimization methodology, time to implement it, and the continuous time investment in content and tactics to improve your ranking position. To expedite the process, sites such as Scripted.com can help match you to freelance content writers in your industry, or service providers such as myself can assist in your overall strategy development and efforts. A great aspect of PPC is if you have such things working for you as a short sales cycle, good margins, and/or fast payment terms, you’re in a position to rapidly scale your PPC campaign budget provided it’s within your ROI target. Because unlike traditional advertising where you might pay a lot up front for an advertisement that appears and leads come in later and over time, with PPC you’re paying for the clicks that come in and are immediately generating revenue for you. If you’re getting paid quickly, the more you can grow your PPC campaign, the more revenue you’re generating. Think of PPC bidding as an auction for each keyword, happening in real-time, every time someone searches for that word. If your ad for athletic shoes gets clicked on 1 out of every 10 times someone searches for athletic shoes and you’re willing to pay up to $1 per click while another company is willing to pay up to 50 cents per click for the same keyword, if they also get clicked on 1 out of 10 times then you’ll only pay 51 cents to appear above them in the search results – the minimum amount over the next highest bidder to achieve a better placement. However, what if someone is willing to pay $3 a click for the same keyword? Can you still show up higher? Yes! If their ad gets clicked on 1 out of 50 times and yours gets clicked on 1 out of 10, you’re going to show up higher. Search engines obviously want to maximize their aggregate income, so if they know that they will make $10 off your ad for every 100 searches (10 clicks out of 100 searches at $1 each) or $6 off the other advertiser (2 out of 100 searches at $3 each) guess who shows up first? You! *Remember, you don’t necessarily want more clicks, you want more likely to convert clicks. The big players in your industry can and will outbid you particularly on broader terms, not just because they have bigger budgets, but also due to factors such as a larger and more comprehensive product selection, more brand awareness, or higher margins, this means they have more opportunities to monetize that customer, their maximum cost per acquisition criteria may be higher, and that customer represents a greater lifetime value to them. So again, the more targeted and specific the keyword (I.E. “pay per click bid management software” instead of “marketing software”) the more likely will it be available at a lower cost because there is less competition for it and the more likely it is to convert into a lead or sale for you, improving your ROI. Competition has a similar effect on SEO efforts. Imagine competing with the likes of Zappos for the term “shoes” or Microsoft for “software” or even the thousands of other companies in any sizable industry that have been around for years, have hundreds or thousands of relevant pages, thousands of links pointing to them, and even teams focused on SEO. Banking on getting to the top of those rankings is probably an even worse idea than banking on your product getting named as one of Oprah’s Favorite Things. As a small business, break down your specific areas of expertise as narrowly defined possible and start developing content around that. Find the terms that are relevant to your business that aren’t already saturated with advertisers. Demonstrate how you are an authority on those subjects. You can always expand from there as your company expands. Granted the traffic you receive from these niche keywords is going to be lower, but there is a cumulative effect of putting out content that is always working for you and driving incremental traffic over time. So who wins in the battle of SEO vs PPC when it comes to your search engine marketing strategy? While PPC is the fastest horse out of the gate, SEO is the one who hangs towards the back of the pack and then creeps up to go neck and neck down the home stretch and perhaps even winning by a nose at the end. Especially for a small business just starting out, a PPC strategy to start generating immediate traffic and data to analyze can be essential. But SEO should always be considered during the initial planning of your online presence and in all of the content you add going forward because it will start to work on your behalf without costing you anything. Take a look at some of your most popular pages right now and try and find some instances where you can replace a generic term – like “software” – with a search engine optimized keyword – like “hosted PPC bid management software”. Keep making those constant incremental improvements and watch the momentum start to build. And no matter what, make sure you are tracking all of your site activity and conversions with Google Analytics or a similar product from the get-go. This data is pure gold and the more historical data you have, the more opportunities and insight it will provide for you in the future. Soon we’ll talk about how to optimize all of this new traffic you’re getting so you can potentially EXPONENTIALLY impact your revenue. Do you do PPC, SEO, or both? I want to hear about your experiences, questions, and requests for more posts so leave a comment below! P.S. – So I’m quickly discovering for myself that each new blog post spurs numerous new ideas and opportunities for more posts. While I’m trying to stay on topic and keep things concise so you’re not overwhelmed, it’s hard to resist not to going off on a tangent when I get to an exciting new topic. 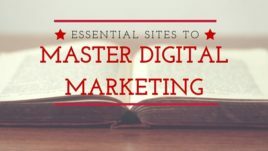 I’ll continue posting more detailed explanations of various marketing strategies and cross-link previous articles to make it easy to stay broad or get into more detail on each topic. 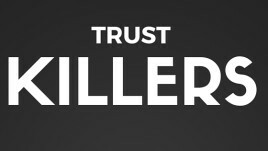 Are These Trust-Killers On Your Website?